Georgia in the 80’s was filled with fun, friendship and lots of adventure. Especially for me and my siblings, on Oak Street! dull moment as we fought monsters, played chase and took turns riding one bike. story the whole family will enjoy. I like the tone and voice of this story. 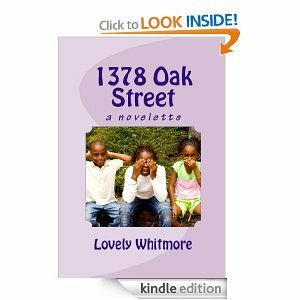 Ms. Whitmore’s writing definitely makes you feel like you are standing right there on Oak Street watching the story unfold. I related to some of her experiences, but not all of them. I shared a room with my sister, as did she, and we had some fun times together. My siblings and I also made plenty of mud pies out in the sandbox, so that was a fun memory to remember. The experiences she had with the neighbor kids were interesting. They were not very nice. Thankfully I didn’t have neighbors like that. I didn’t love the ending of the story, but it was ok. It just seemed out of place, I thought, but it did have a purpose. It was fun to read about life in another part of the country. Overall I enjoyed the story. I would recommend it. Disclosure: I received a free book in exchange for my honest review.